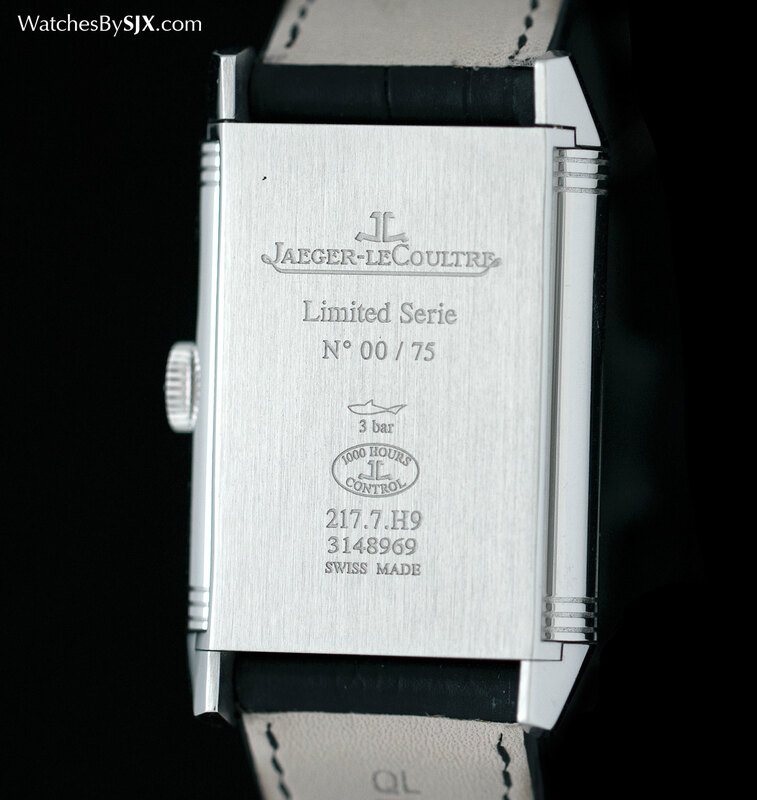 How Good is the Jaeger-LeCoultre Reverso Tribute Gyrotourbillon? Neat, concise and wearable, the Reverso Tribute Gyrotourbillon is JLC's second try with a reversible multi-axis tourbillon. Here's a hands-on look with pricing. 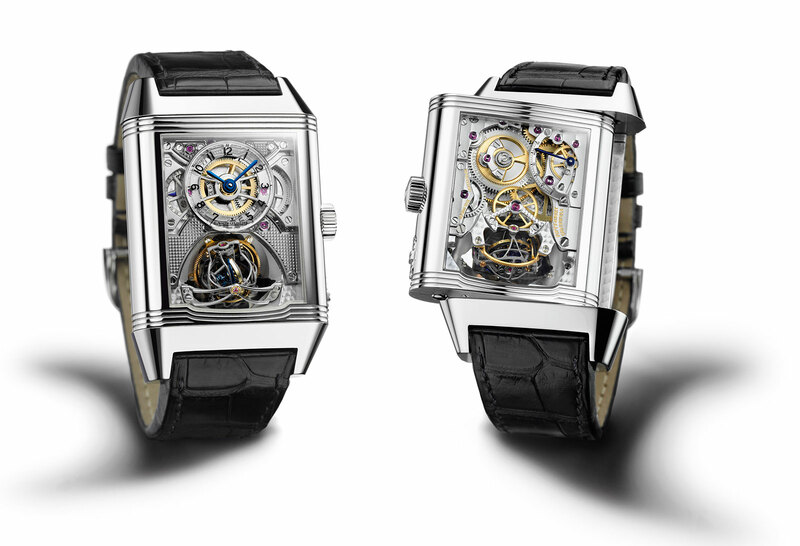 Introduced at SIHH 2016, the Reverso Tribute Gyrotourbillon (ref. 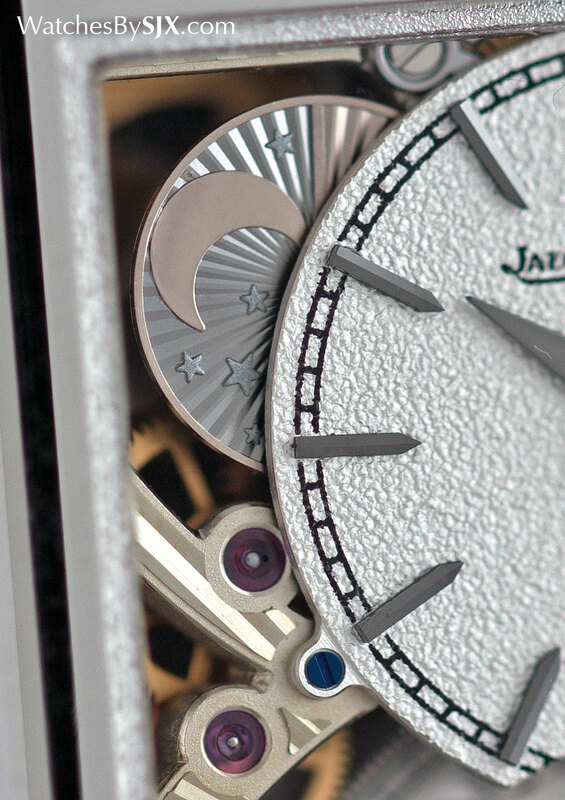 3946420) is the fourth iteration of Jaeger-LeCoultre’s signature bi-axial tourbillon. Arriving more than a decade after the original, round Gyrotourbillon was launched in 2004, the Reverso Tribute Gyrotourbillon is JLC’s second try at melding the multi-axis tourbillon with its signature swivelling case. 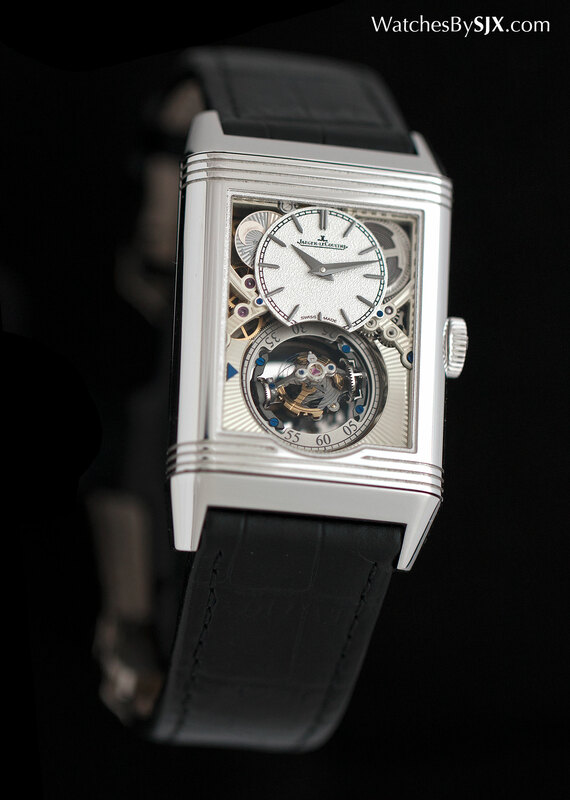 The first attempt was the impressive but colossal Reverso Gyrotourbillon 2 of 2008, a watch so impractically large and heavy it required a locking mechanism to hold the case in place. With the Reverso Tribute Gyrotourbillon JLC got it right in terms of proportions and fit, having slimmed down the case by a third. 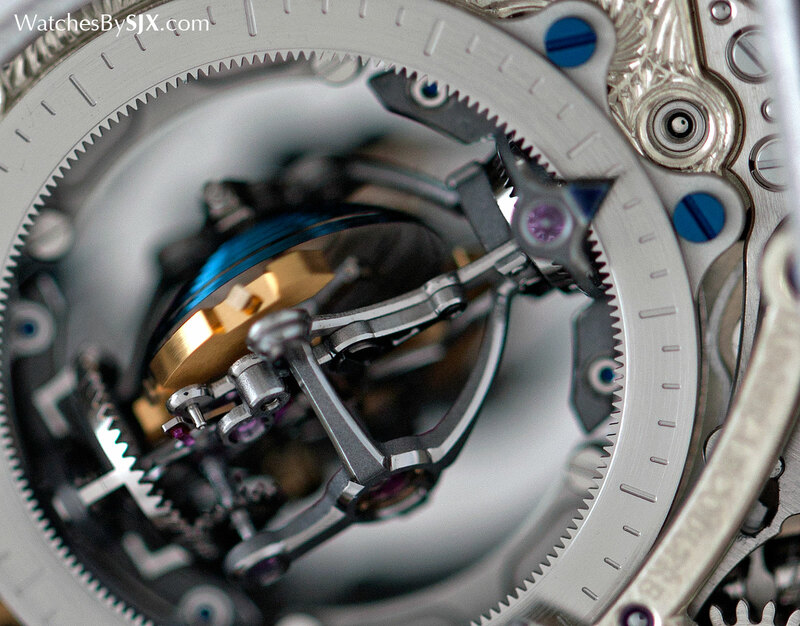 But is the Gyrotourbillon as notable in 2016 as it was 12 years ago? Make it smaller. And better? 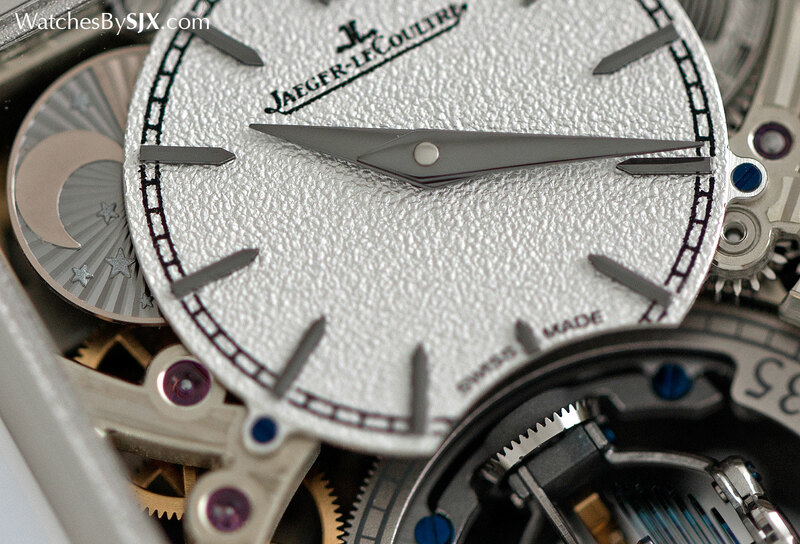 JLC has evidently tried to do two things with the new Gyrotourbillon. The first was to make it more wearable, something in which they succeeded brilliantly. 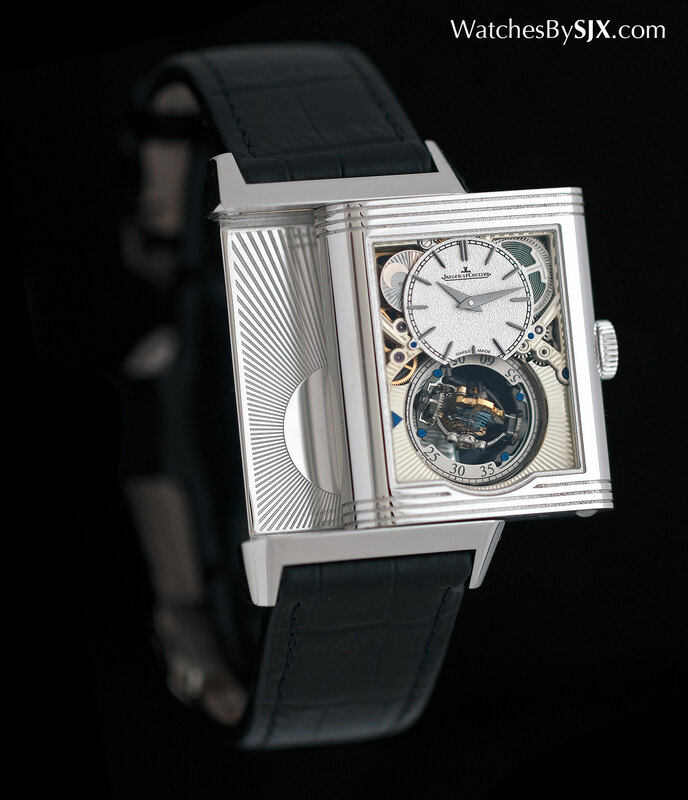 Measuring 31 mm wide, 51.1 mm long and 12.4 mm high, the Reverso Tribute Gyrotourbillon has dimensions similar to an extra-large Cartier Tank. It’s a practical size and not excessively weighty, despite the platinum case, so no case locking mechanism is necessary. 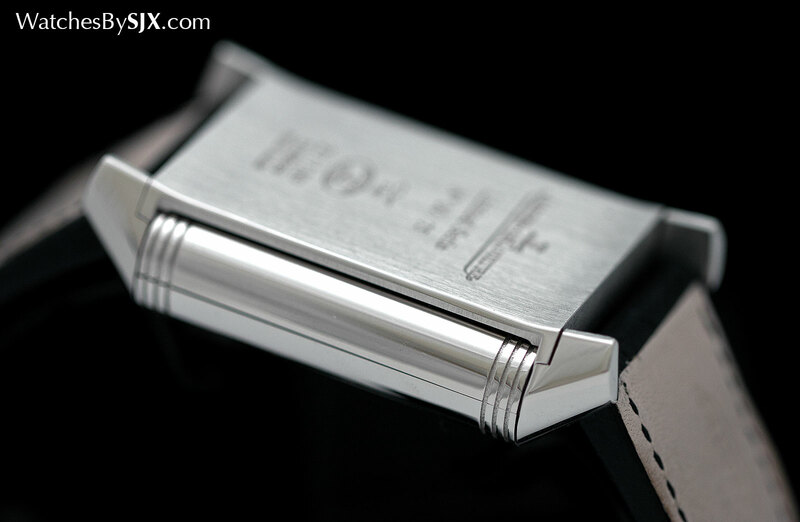 Add to that a slightly curved case back and the watch sits on the wrist admirably well for a rectangular watch. The second thing JLC did was to streamlined the overall look of the watch, so that it looks less fancifully technical from afar. Simultaneously ornate engraving visible only up close was liberally applied, a decorative technique that’s one of JLC’s Métiers Rares, or “rare crafts”. 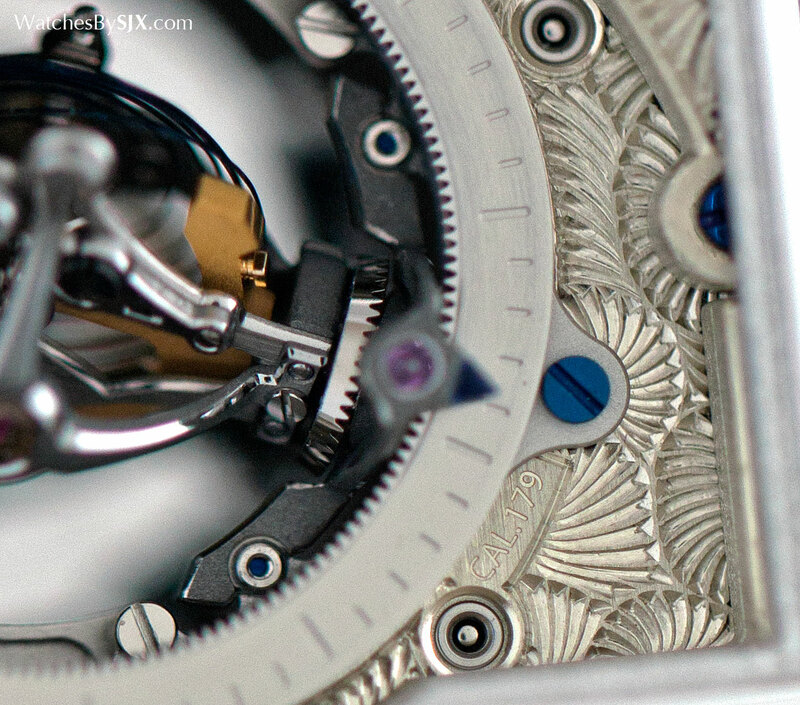 While the first Reverso Gyrotourbillon had an open dial and lots of gears showing, the new Gyrotourbillon is plainer. The dial is silvered with a grained texture, matched with dark grey hands and baton hour markers, a look common to all the Reverso Tribute watches launched at SIHH. A day and night indicator sits to the left of the dial, while the open-worked barrel on the right provides some symmetry. 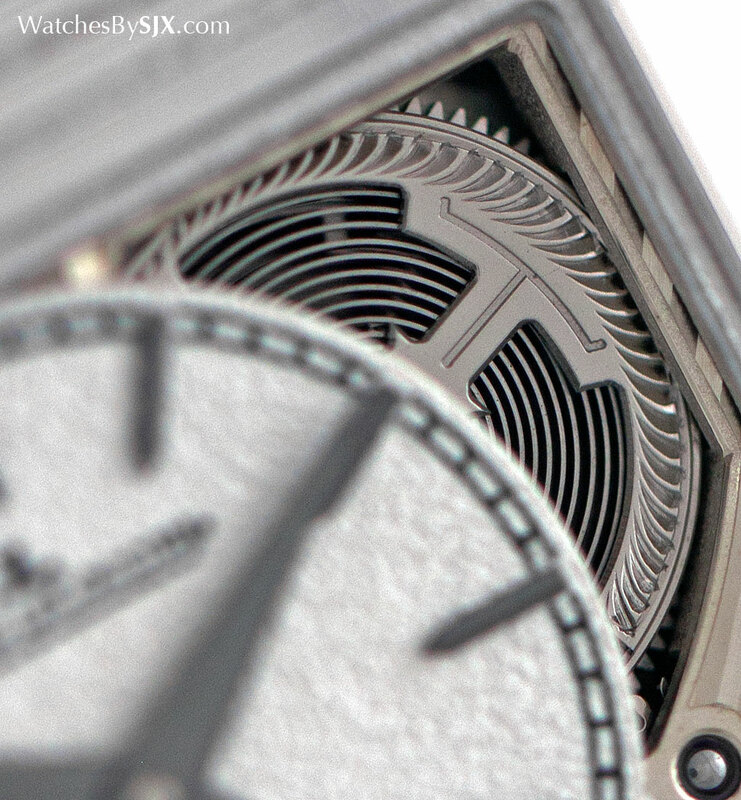 Decorative radial guilloche covers the main plate below the dial, highlighting the tourbillon. And a polished circle on the carriage beneath the tourbillon serves as a mirror, reflecting more light into the tourbillon and enhancing its visibility. 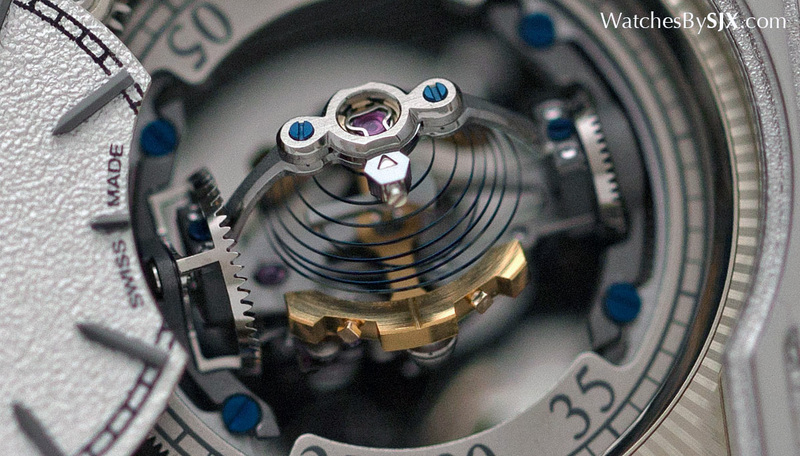 The streamlined look extends to the double axis tourbillon itself, which has been simplified and compacted. 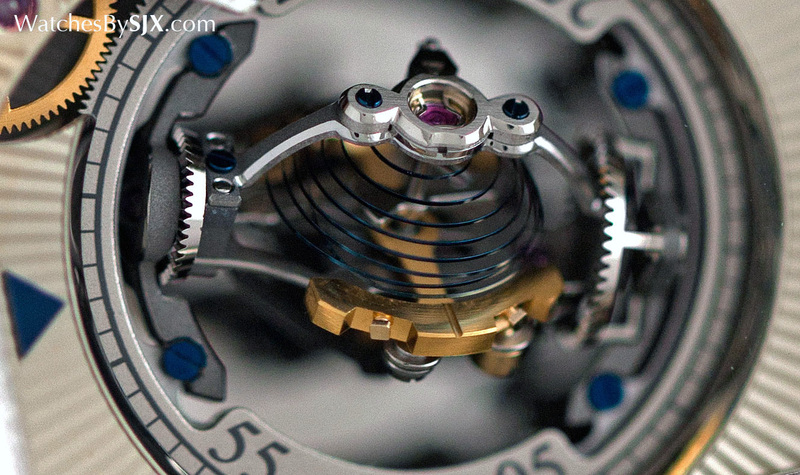 Functionally it is similar to the earlier generation of Gyrotourbillon but not identical. While the earlier Gyrotourbillons had spherical cages, explaining the thickness of the watches, the latest version is flatter, almost a half-sphere. 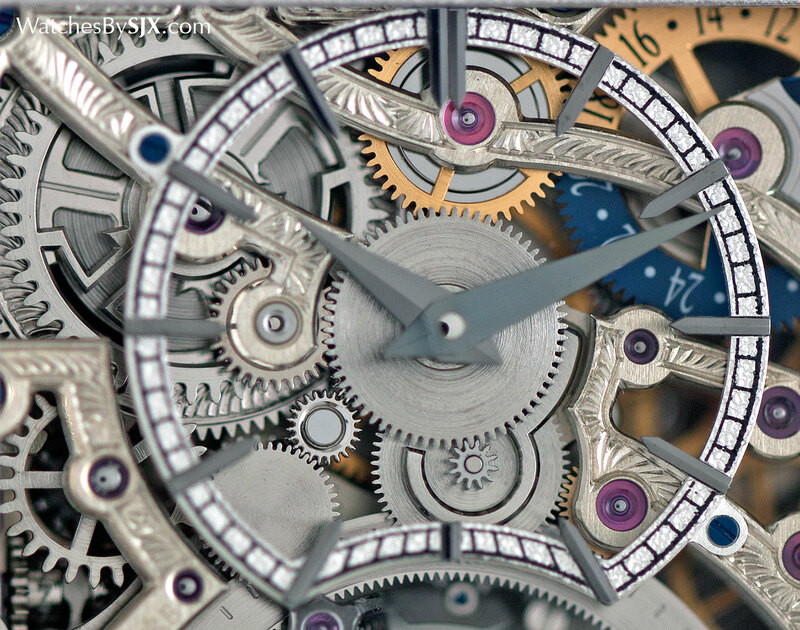 The tourbillon is now set onto the same plane as the dial, needing no bridge to hold it in place. That provides an unimpeded view of the carriage as well as the Gyrolab balance wheel that’s shaped like the JLC logo (and first found on the Geophysic True Second). Like the first generation, the outer cage of the tourbillon rotates once every 60 seconds, also serving as a seconds hand, explaining the 60-second track around the tourbillon aperture. 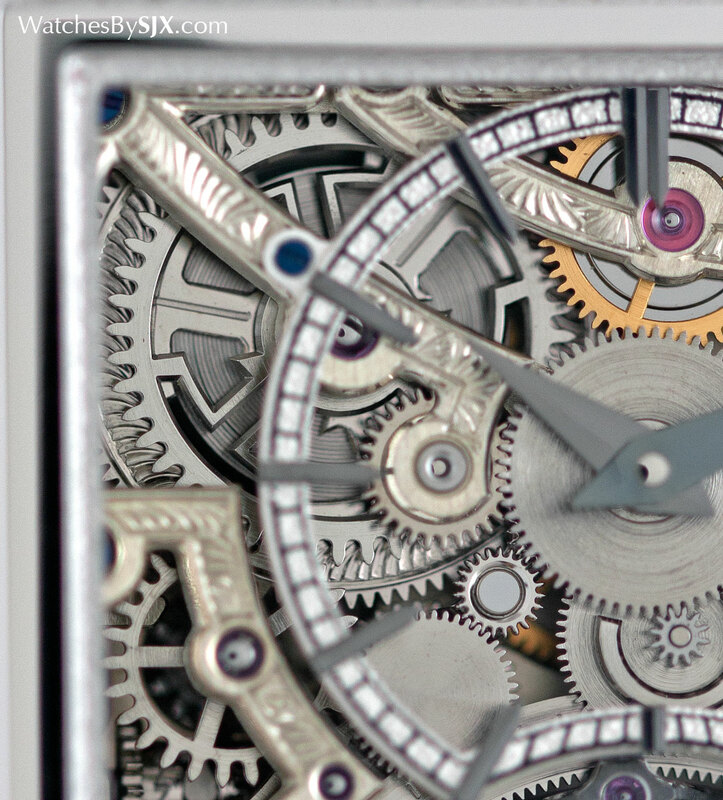 This rotates on the same plane as the dial, while the inner cage rotates perpendicular to the dial. Requiring only a brisk 12.6 seconds to complete a revolution, compared to 24 seconds before, the inner cage all the action on the dial. Like the rest of the watch, the tourbillon itself looks less complex than that of the earlier generation, despite doing much the same thing. 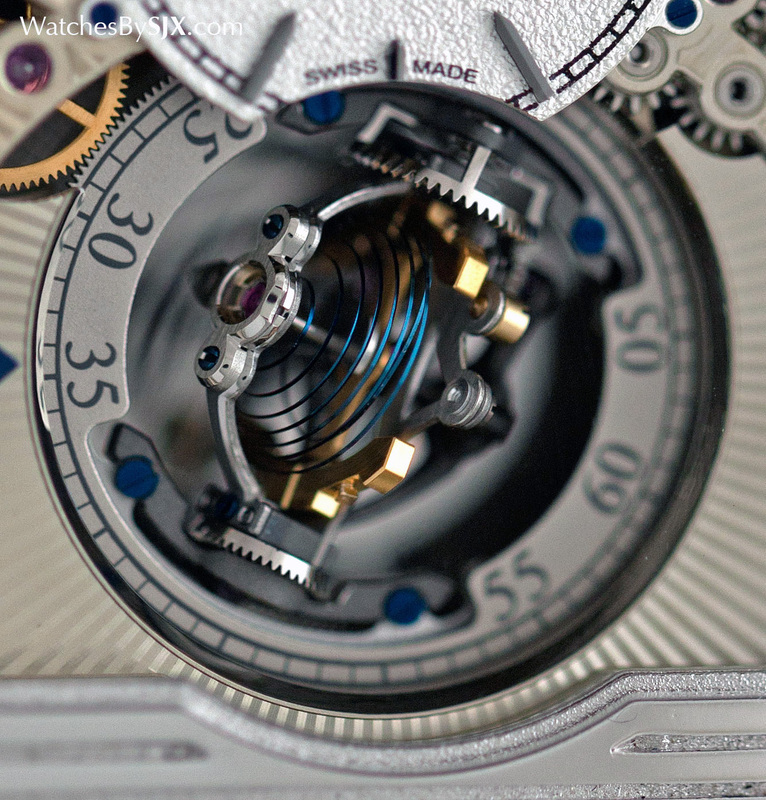 The most visually compelling component of the tourbillon is undoubtedly the spherical hairspring. 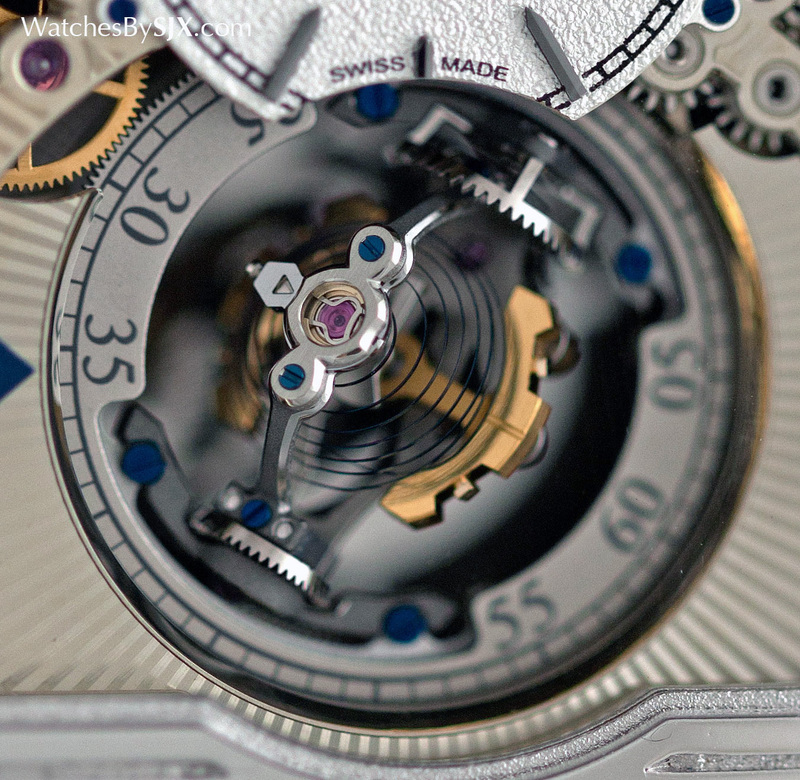 Complex to form and install, the spherical hairspring is meant to provide better timekeeping in all positions. On the reverse the new Gyrotourbillon is more baroque, with skeletonised bridges covered in a simple, straight-stroke engraving. The time is also displayed on the back, mirroring the time on the front; it is not a second time zone. Instead, at the top right corner a blue and gold disc indicates the time in another locale. The downside of the trim new look is that the hyper-technical and geeky look of the old Gyrotourbillon is gone. 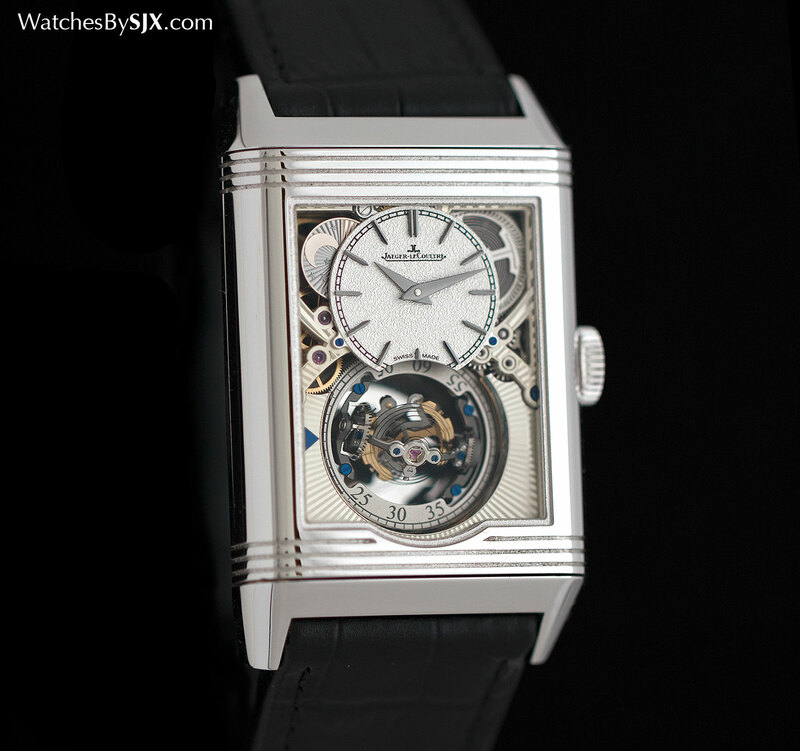 While the original Reverso Gyrotourbillon was comically impractical, it was a complicated watch and looked the part. The Reverso Tribute Gyrotourbillon, in contrast, feels restrained, a concession that’s hard to reconcile with the purpose and price. And there’s also the question of its place in the wider landscape. 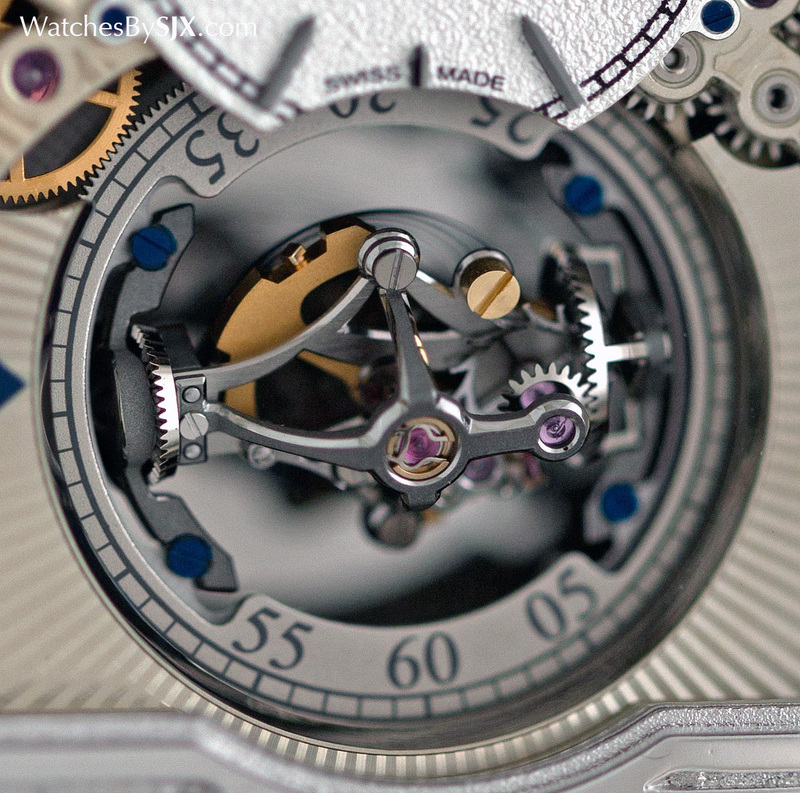 When the first Gyrotourbillon made its debut in 2004, it was a remarkably special watch. Multi-axis tourbillons were incredibly exotic at the time. 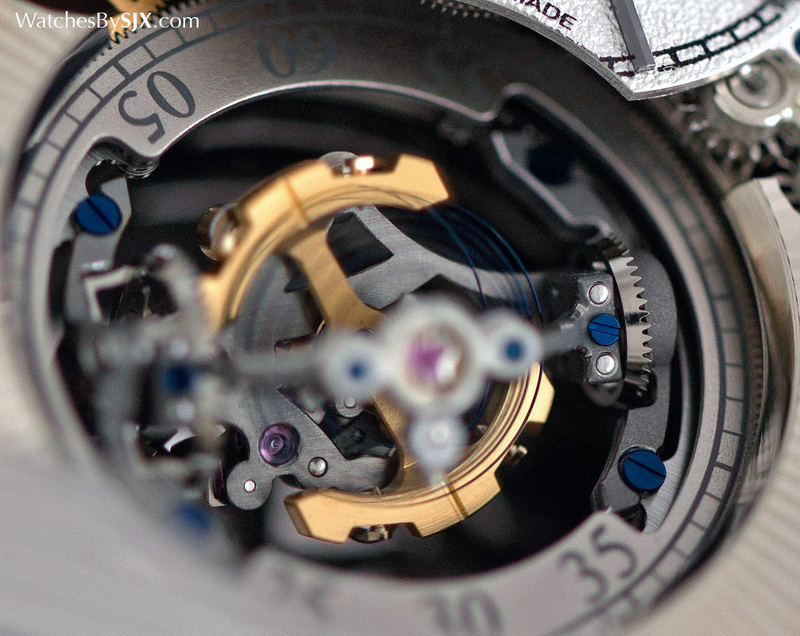 Today tourbillons of all stripes are relatively common, resulting in the complication having lost much of its cachet. 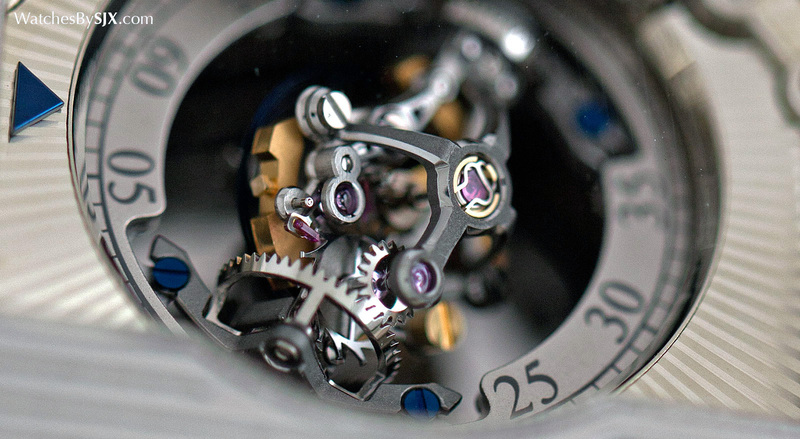 So it takes a lot more to make a outstanding tourbillon. 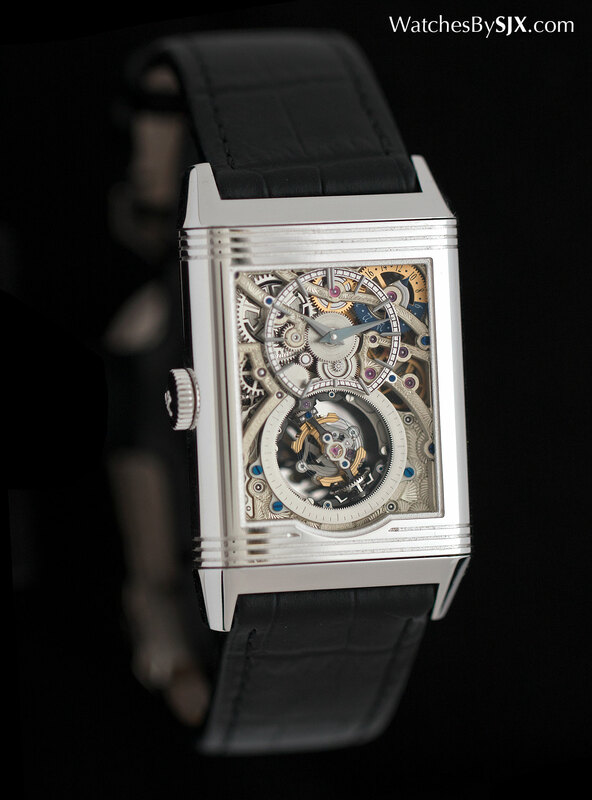 Limited to 75 pieces in platinum, the Reverso Tribute Gyrotourbillon is priced at €270,000, or about US$300,000. 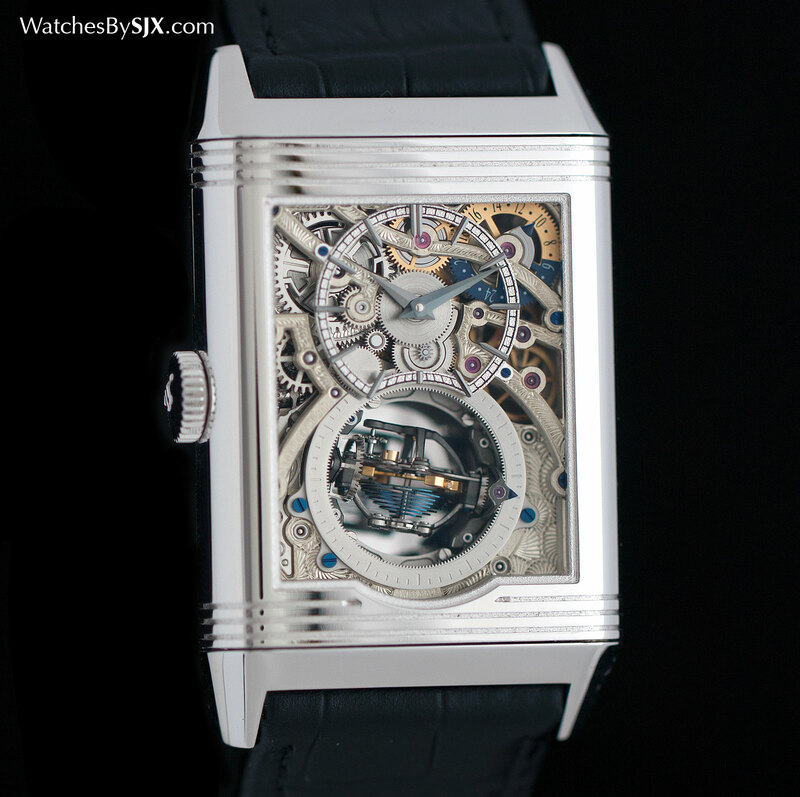 That’s significantly less than the US$350,000 retail of the earlier Reverso Gyrotourbillon 2 in platinum.